Relatively newly practicing physicians may not know that the Medicare physician payment system changed pretty substantially in the early nineties. This was by design. The perception of those who designed this new system was that certain services were overpaid and others underpaid. It likely had much more to do with ratcheting down the costs of health care. As physician fees constitute only 10-20% of the entire equation, the wisdom of concentrating on physician’s fees to change the system is perhaps questionable. This is what was done nevertheless. A cornerstone philosophy of the new system was that procedure-based specialties were overpaid. The physician fee system prior to this was based on usual and customary fees. This newer one based payments on a model that paid for a service at a uniform rate regardless of who performed it. While this seems fair on the surface, it had predictable effects. Why would a surgeon with much higher overhead remove a lump in a patient if the new payment system put the procedure in a revenue negative position? The practice of surgeons removing certain lumps gave way to family practice and dermatology physicians removing many of them. These were the only specialties that under the newer system could turn a profit doing so. The Medicare fee schedule economically regulates procedures in medicine. It also indirectly fed the growth of cosmetic medicine and surgery as this was the escape hatch many practitioners sought as the Medicare boom feel upon us. Surgeons interested in turning a profit quickly figured on what paid adequately and more importantly on what did not. As my grandfather told me as a young child, everyone needs to make a living. It is perhaps unfortunate that doctors do not discuss these matters with patients when telling them why they cannot offer a service. 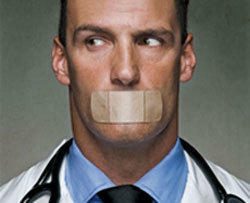 Is it really ever wrong to tell your patients the truth?